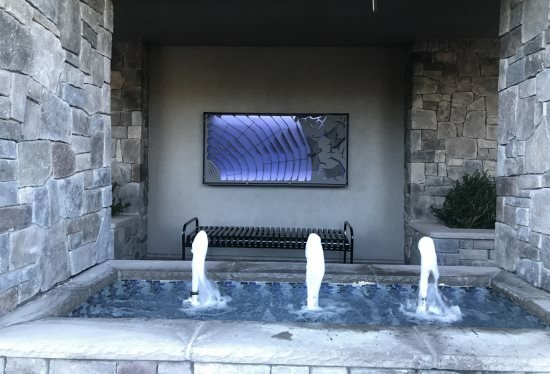 Among the latest additions to Lafayette's public art are some panels installed along a stone wall under a walk way leading into the Town Center III condominiums, behind Panda Express and to the south of the walkway leading to the BART station. It is easy to miss them during the day, since they blend so well into the stonework. However at night, illuminated with blue light, the panels are striking. 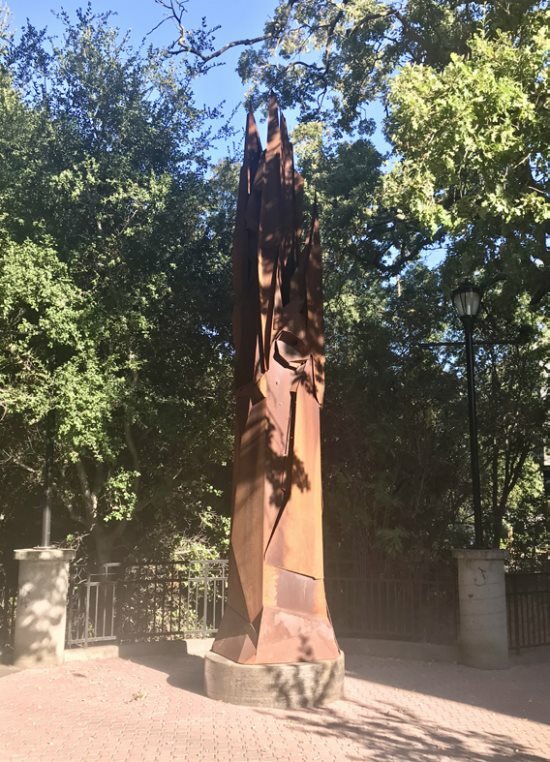 The panels by local artist Ben Trautman lead the way to a large sculpture by the same artist - his tall tree trunk sculpture entitled "Shadow." The light panels and the "Shadow" sculpture were paid for by K.B. Home as part of the city's 1 percent for the arts program. 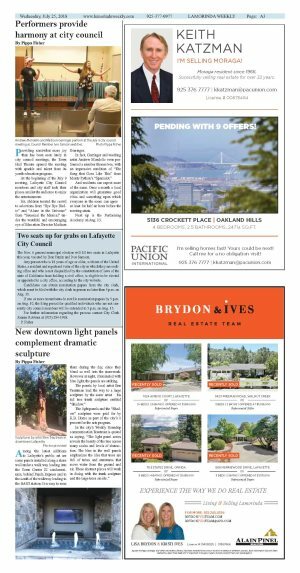 In the city's Weekly Roundup communication Trautman is quoted as saying, "The light panel series reveals the beauty of the tree across many scales and levels of abstraction. The blue in the wall panels emphasizes the idea that trees are full of tubes and structures that move water from the ground and air. These abstract pieces will work in dialog with the trunk sculpture and the large trees on site."